Skinny Jeans & a Chai Latte: Food & Beer Friday :: Let's go Belgian! I'm on top of things this week, so let's jump right into it! There was something really wonderful about cracking open this beer. I don't drink near enough Belgian beers. This Chimay Ale is just delicious! You may not think of darker tones when imagining this European style, but this one is a darker brown color. The head (which you WANT to be thick and foamy) is a rich caramel color. In my opinion, there is something very striking about the flavor of a Belgian beer. It's something I can not quite describe. I suppose it has something to do with the yeast? Or it's the Trappist monks who brew this delicious ale. 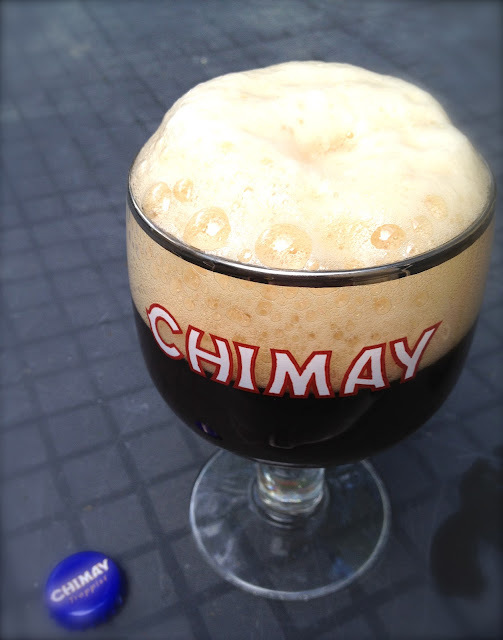 All Chimay beers are trappist beers, which are simply beers brewed by trappist monks. There are eight trappist monasteries and six of them are in Belgium. My untrained palate did not detect the notes of "plum and other dark old world fruits," but I'll take their word for it. You'll often find Chimay beers in these 750mL bottles. Word to the wise...share the bottle. At 9% alcohol, this is a beer you want to share with friends and food! For this pairing, I'm going straight up cheese! No main dish, just cheese. This awesome reference recommends a "washed rind" cheese that has been washed with a liquor-like beer or wine then aged. Try a Taleggio or Epoisses. If you can score either of those cheeses, try Giada's Taleggio & Pear Panini! 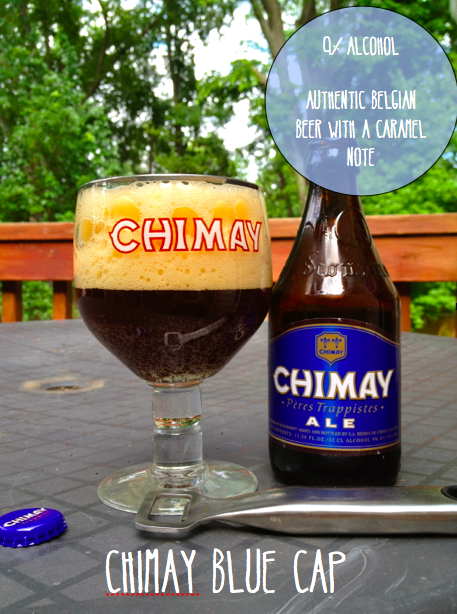 Cheese and fruit will pair perfectly with this Chimay! Feel free to link up for either! Sorry! No linky tools link up this week! Leave a comment if you're linking with me! Come see my food & beer friday... it even has the graph i promised!! Food and Beer Fridays? I just got here and I'm hooked already :) Yippie for good beer! Ohhh and that panini looks magical! OMG I'm salivating. All you have to say is CHEESE and I don't need anything else for dinner. I need to learn more about beers (other than just what I like), but Chimay is a reliable one for sure, and there's pretty much nothing I wouldn't want a cheese & pear panini with. Can't wait to see you soon!